If handled correctly, crisis can win a company or country more investment and trade. However, if handled badly, it can affect the economy, profits and image. A crisis in this day and age can cover a range of incidents from a terrorist attack to a plane crash and the recall of products. Studying crisis management is something very new in Malaysia, yet in light of the demands of today's world, it is very relevant. It is now being offered for the first time at Monash University Malaysia, beginning in mid-2015. 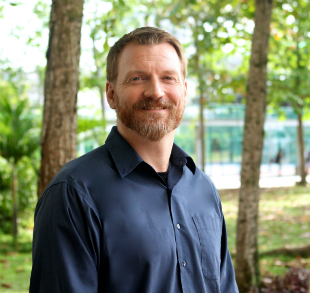 International studies lecturer, Dr Joel David Moore says crisis management is very important for Monash University’s School of Arts and Social Sciences which offers communications, journalism, international studies and writing. “This unit is designed to blend all of those elements together to get the students to start thinking about different career paths that they can take, to ensure they have really practical skills and experiences, not just theoretical. “A crisis really does a good job of bringing those various elements (communications, journalism, international studies, writing) together. There is also the exchange between the different disciplines so it has a good pedagogical value,” he adds. In a crisis situation, the rapidity of information exchange is key. Not only is it important to provide new information continually to various media, NGOs and the public, there is also the need to consume and filter the many new sources of information, including crowd sourcing, social media networks, besides traditional sources of information. The ability to do that and control the flow of accurate information is critical. In practicing responding to a simulated crisis, students will use communication, journalism, writing, international studies and negotiation skills. According to Moore, bargaining and negotiation will teach students to differentiate between cheap talk or empty threats and real material interests of the groups involved. “Negotiation helps students filter out what people seem to be saying from what they actually mean,” he explains. Moore explains that the unit will come in handy for helping students understand better crisis management for state, country, as well as multinational companies. “They are going to be required to be experts in their own areas such as communications or international studies. They're really taking ownership of what they've learned and they will see the importance of the inter-disciplinary framework,” he shared. Students will learn theories and the history of various crises in the past, how media around crises stake out various interests, how different organisations respond to crises and how negotiations are done. In addition to learning theories, they will also learn to apply them in a simulation. When Moore ran a scaled-down version of this unit during his course on Migration last year, the scenario was that the Thai military had announced that it was going to close all its border refugee camps and repatriate all the refugees back to Myanmar. Students were assigned roles in various groups, representing the government, news agencies, NGOs and community-based organisations. Each group had its own set of incentives with academic theories and historical precedent. The simulation was structured so that it was unlikely that everybody got what they wanted. As a result, the various groups had to negotiate, bargain and think creatively to achieve their respective aims. The scenario will change for the unit next year and the simulation will be conducted over a longer period of time. “This will be somewhat of an innovation, especially with the multi-disciplinary approach we're taking. “On one hand they learn the theories at a much deeper and more practical level. On the other hand, they get to see the sort of stress and inter-personal difficulties of working in a group and managing a crisis. They will learn that it's quite difficult, people will want to go in different directions and you'll be working sometimes with and sometimes against other groups in that sort of strategic dynamic interaction. That will require them to work collaboratively in a way that they wouldn't be able to in a normal classroom situation. “I want the students to have a deeper appreciation of the theories, but really to get those practical soft skills that will help them more realistically than theories will in their future careers. They will need to think on their feet, come up with creative solutions to problems, not wait for someone else to solve problems but to realise in a group that they have to work together, and if anyone does not pull their weight in the group, somebody has to roll up their sleeves and take on an unfair amount of work. That's just life and I think it's important that students are exposed to that in a contained sandbox kind of environment so they don't go out to the job market with expectations that the rest of life will be like it is in a classroom,” says Moore, who was previously with the Colorado State University in the United States. For more information on the programs offered at Monash University Malaysia’s School of Arts and Social Sciences, please visit www.sass.monash.edu.my/.